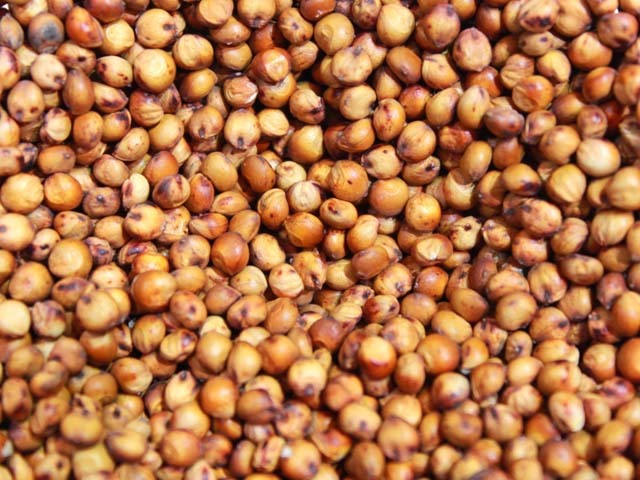 In the United States, sorghum is used primarily as a feed grain for livestock. Feed value of grain sorghum is similar to corn. The grain has more protein and fat than corn, but is lower in vitamin A. When compared with corn on a per pound basis, grain sorghum feeding value ranges from 90% to nearly equal to corn.